It took a lot of time to get to the final design, made by David Schilling. If we should do a new project like this, I think we should use the same design, because it is already known graphics. So David would need to say "yes" to using his design once more, otherwise it is a dead end and we have to come up with something else. The only problem is that these things do take a lot of time, and also I don't want this to get into a commercial project. 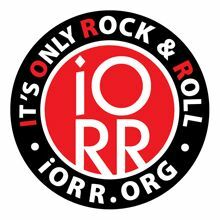 I have already said no to an offer for promoting tickets for the Zip Code tour, I was offered a "grande" deal, but IORR was, is and will always be 100% non-profit. The same goes for merchandise and other items. Making T-shirts is a too big project. May be a button or a sew-on patch might be possible, It is probably cheap to make a thousand buttons, but I don't want to end up as a button distributor, handing out buttons at odd bars and hotels, also, there is a cost involved here, things need to be easy and smart. Edited 2 time(s). Last edit at 2015-05-18 18:04 by bv. If there was a button template people could print the image themselves and cut and glue the art on to a generic button. What would be really cool would be an iorr Keef style bandana.......(could send one to Keith as a complimentary...great to see that on stage..
Edited 1 time(s). Last edit at 2015-04-13 17:30 by EddieByword. I have the 2007 t shirt and sweater I will be bringing to San Diego! 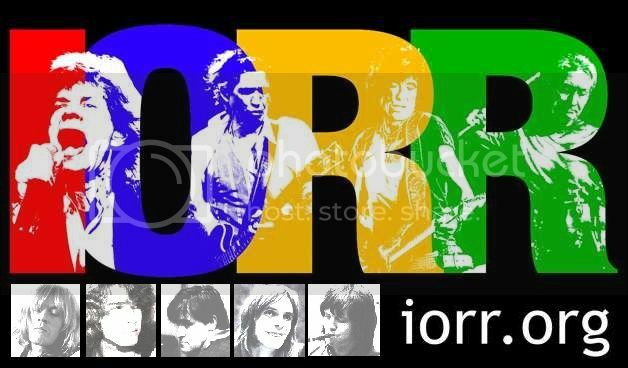 Why no space for Mick Taylor? 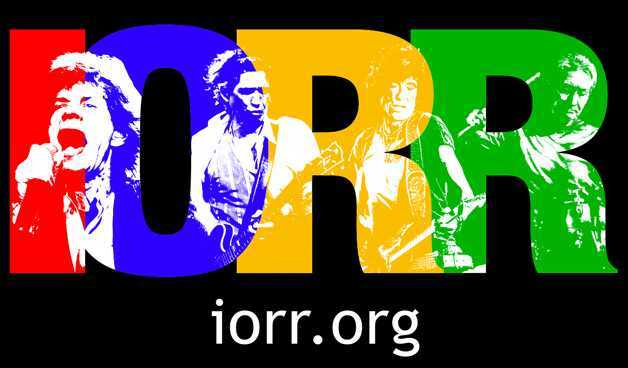 I have the IORR shirt as well, if I can't fit in it my wife will wear it, lol. Maybe we could wear "Hi My Name Is..." stickers at the shows with our usernames? That way only IORR people would know. Plus it's cheap and simple, you could pick up a pack of those stickers at your local dollar store probably, and just slap one on and forget about it. Edited 2 time(s). Last edit at 2015-04-13 19:24 by stones2000. and maybe city name on the side. Maybe we could wear "Hi My Name Is..." stickers at the shows with our usernames? That way only IORR people would know. Er ... actually I think people other than iorrians would be able to read those too. She is a beautiful Stones woman that used to frequent the Stones boards, I met her years ago and she was famous for giving scarves to Keith and he would wear them on stage. I think she used to post here or somewhere and I might guess she still posts here or somewhere. Yeah I know obviously people could read the usernames. But they wouldn't know what they're for. Also a Rolls Royce. Keith's first that he named Blue Lena. Believe he drove to France and stole Anita from BJ in it. I was (semi-)joking. But the aim is better served by something highly visible hollering IORR! Anyone who cares can ask which one we are. That Blue Lena is a Bentley, not a Rolls. Also on the cover of Angee's book, with Keith! Indeed. She's lovely. I've only met her once but she is truly a Keith/Stones fan. Something tells me she doesn't post at IORR any more. (I could be wrong). Edited 1 time(s). Last edit at 2015-04-13 22:45 by Cocaine Eyes.